India’s banking sector crisis has left most state lenders hamstrung with mounting levels of bad loans, investigations into fraud and restricted growth opportunities. soured loans amounting to as much as $ 150 billion. 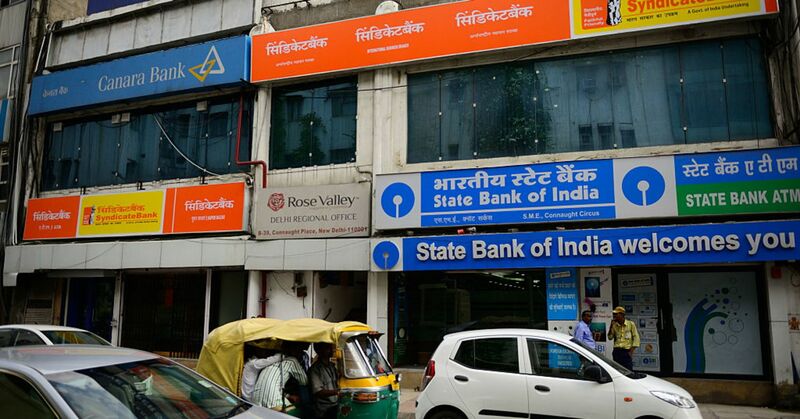 In fact, the 21 state-owned banks had stressed loans of about 8.26 trillion rupees ($ 120 billion) as of Dec. 31, Reuters reported. Private sector lenders, meanwhile, reportedly had a bad loan pile of just about 1.1 trillion rupees. India needs to work out a way to move deposits from public sector banks to private lenders, Prasad added. Still, there are alternative means of funding available to satisfy financing demands from companies and individuals. “My view is that, incrementally, a lot of long-term financing of corporate India can also be met by the corporate bond market, which has developed reasonably well,” he said. “Between the corporate bond market and the private banks, I think most of the requirements can be met as far as corporate India is concerned.” When it comes to lending directly to individuals, Prasad said that is mostly done by the private banks and non-banking financial companies. For years, state-owned banks have funded projects in sectors like steel, power and infrastructure that were not the best in class and they later became non-performing assets when the business cycle turned, Franklin Templeton’s Rajah said. But unlike in the past, the current Indian government is a lot less willing to bail out the troubled banks by just recapitalizing them. Instead, it is pushing for greater structural changes. “This government has taken a harder stance along with the [Reserve Bank of India], saying that ‘you know this is a structural issue, we can’t keep bailing out these banks.’ It’s too much of a waste of public money,” Rajah said. He explained that the government would not allow state lenders to default, but it is also not going to guarantee profitability. Still, in January, the government said it would disburse nearly $ 14 billion into 20 public banks by March in exchange for them implementing reforms. That was part of a broader undertaking announced last October, where the government said it would inject about $ 33 billion into its state-run lenders over two years. Following that, the Reserve Bank of India tightened guidelines for banks to resolve bad assets in February. Under the new rules, banks are not able to use loan restructuring schemes to delay recognizing bad debt. As a result, banks’ profitability took a hit as they had to declare many existing loans as non-performing assets and required higher loan loss provisions — they are counted as expenses that banks set aside as allowance for uncollected loans and loan payments. State lenders have also been plagued by fraud. For example, India’s second-largest state lender Punjab National Bank said rogue employees orchestrated a massive $ 2 billion fraud over several years. Experts agreed that declaration of non-performing assets by the banks was coming to an end over the next few quarters. But there are challenges ahead as banks begin to recover bad loans. Earlier this year, Tata Steel bought the insolvent Bhushan Steel for 352 billion rupees ($ 5.14 billion), which reportedly was nearly two-thirds of the loans the company owed to its lenders. He explained that it’s unlikely that the troubled power companies are going to find willing buyers because the sector still has issues around distribution. Smaller companies are going to face the same problem and the only willing buyers are likely to be the current owners of the businesses, he added. Last year, India amended its insolvency and bankruptcy code, preventing willful defaulters from buying up any of their own troubled assets at discounted rates. “The problem is, if they don’t amend the law, which currently bars promoters [company leaders] from putting in a bid for that asset, then many of these smaller companies will have to be liquidated,” Prasad said, adding that would have socioeconomic implications in terms of job losses. The recognition of and the quick pace of resolution for non-performing assets will strengthen Indian banks over the next few years, according to Geeta Chugh, a senior director at S&P. “Before the new bankruptcy code, the recovery rates in India were low at around 26 [percent] and it took over 4 years to recover,” she told CNBC, referring to the portion of defaulted debt and interest that lenders could get back when a borrower became insolvent. She added that recovery in hard asset-backed sectors like steel would be much higher compared to companies in the engineering, procurement and construction industries. But the corporate lending business — that is, dealing with the bad loans — will be more event driven, Modi told CNBC. He explained that many of the non-performing assets have been recognized, but resolution will take time. It could take between 12 to 18 months to fully clean up India’s banking sector, he added. Modi also explained that India’s new bankruptcy laws remove subjectivity in the resolution process. “It’s as institutional and objective as it can get. That’s the reason why we’re reasonably hopeful that … once it gets done, we can move on to the next phase of growth,” he said.